3. Truth, Falsity or Something in Between? 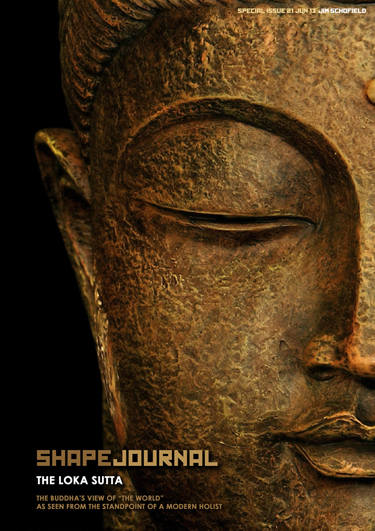 Welcome to the 21st Special Issue of the SHAPE Journal on the Loka Sutta. The writer of these papers is not a Buddhist. He is, however, a holistic philosopher, who sees his ancestry as stretching from the Buddha and Zeno of Elea in the ancient world, through Hegel and Marx in the 19th century, to his own attempt to carry the gains made by these great thinkers towards a wholly new form of Science. This has not been an easy task ! In spite of a commitment to this basic position for almost all of his adult life, the task he set himself constantly generated other more urgent, more basic tasks, and in the end required the fullest possible investigation of the holist position in Philosophy, and the attempt to reclaim Science for this standpoint by a thorough understanding of just how such an all-embracing position could deliver an affective methodology. It has demanded a series of prepatory works including a new Theory of Emergence, a substantial period of work on Iterative Techniques and Chaos in Mathematics, and finally a return to the Buddha’s Loka Sutta, his foundation for what individuals conceived of as “The World”. What follows are my first real attempts to reconcile my own philosophical theories with those of that original and great holistic thinker.